Alex Fleming, Ritchie's nephew, astounds and delights his friends, family, and audiences with amazing card tricks, escape acts, animal tricks, and inexplicable illusions. 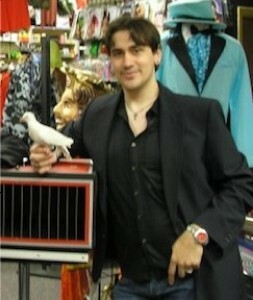 He is constantly adding new tricks to his repetoire, studying the techniques and technologies of great illusionists, and honing these studies into a magic style all his own. His Magic of Alexo videos on Youtube are rapidly approaching 1 million views.